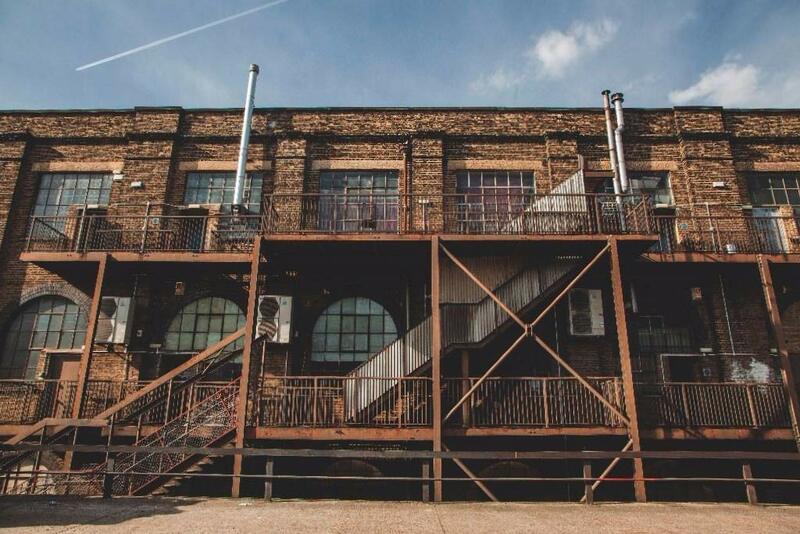 Our studios are housed in a Victorian warehouse by the River Thames on the Woolwich Dockyard. We have three hireable studio spaces with high ceilings and original wooden floorboards, 2 cycloramas, several greenrooms + breakout areas, and a bespoke designed kitchen studio. 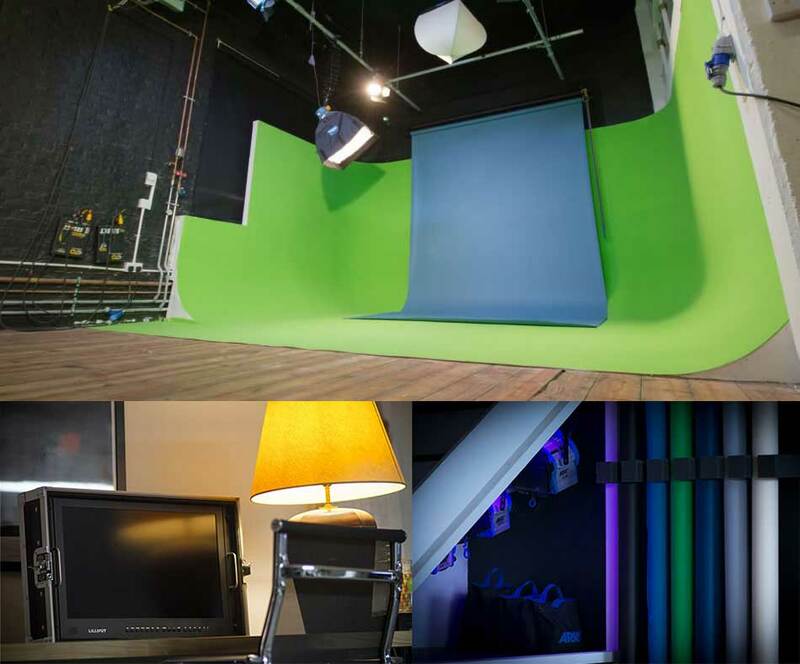 All of our studios have access to free off-street parking, a huge service lift, double width access, outside areas and enough space for a whole unit setup. 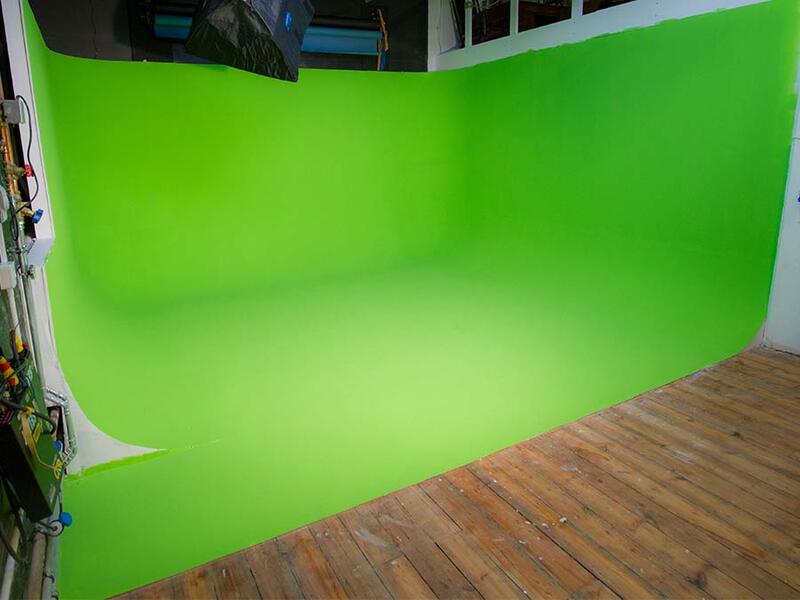 “Studio Green” is a 4.5 by 4.5m cyclorama (infinity cove) embedded in a unique studio space. 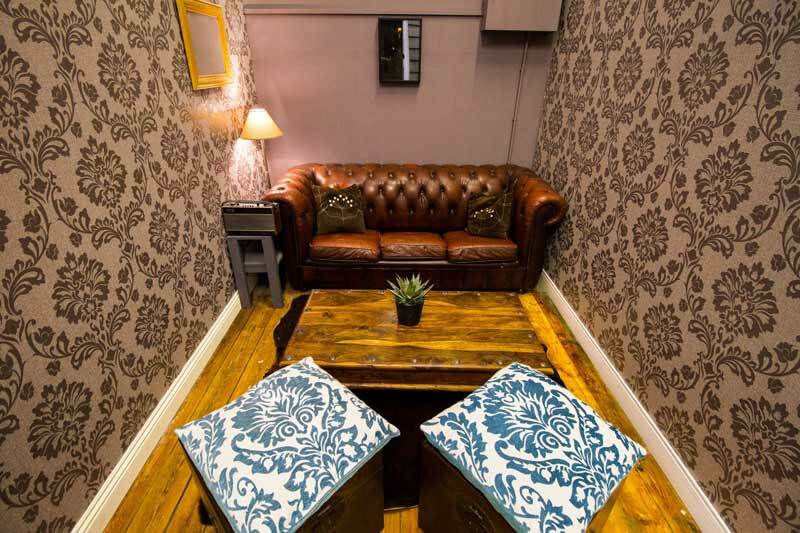 Our Greenroom provides a private space to get changed, get prepared or just chill out during your video production. A good amount of space with plenty of mirrors, including a clothing rack and steamer always helpful for costume and set design. Plus the Chesterfield sofa pulls out to become a bed if you need some extra shuteye before or after a long day shooting or to be used inside our film cove for your studio video. Get dolled up in our hair and makeup area. 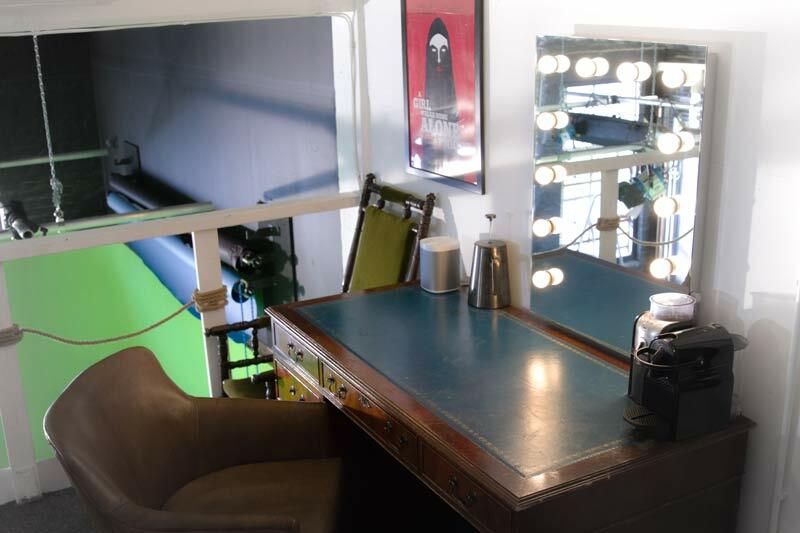 Plenty of workspace for all your hair and makeup needs, including a big vanity mirror with a beautiful soft glow of light with dimmable bulbs. Relax, get comfortable and help yourself to a coffee. 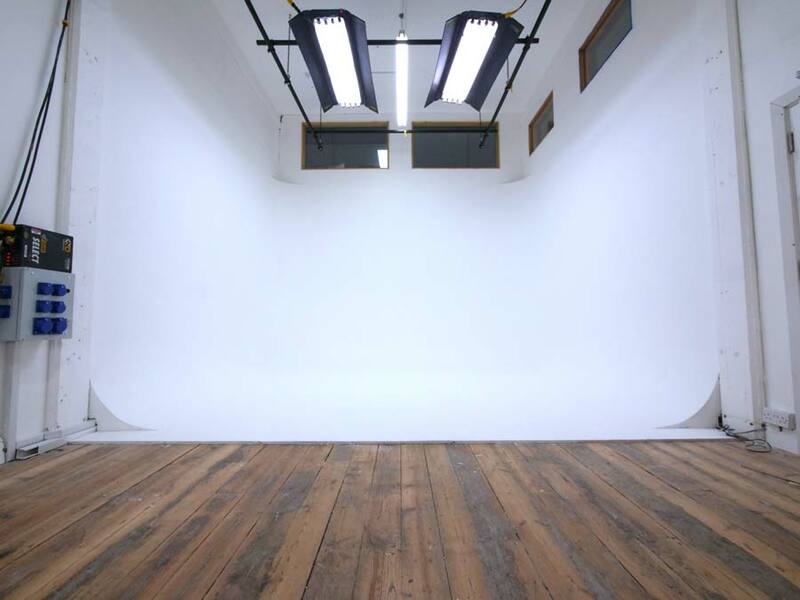 “Studio White” is a long warehouse studio 16 meters by 4.5 meters, It features a white cyclorama (4.5m x 4.5m) and a huge studio floor with original wooden floor boards along with a Victorian warehouse style window.